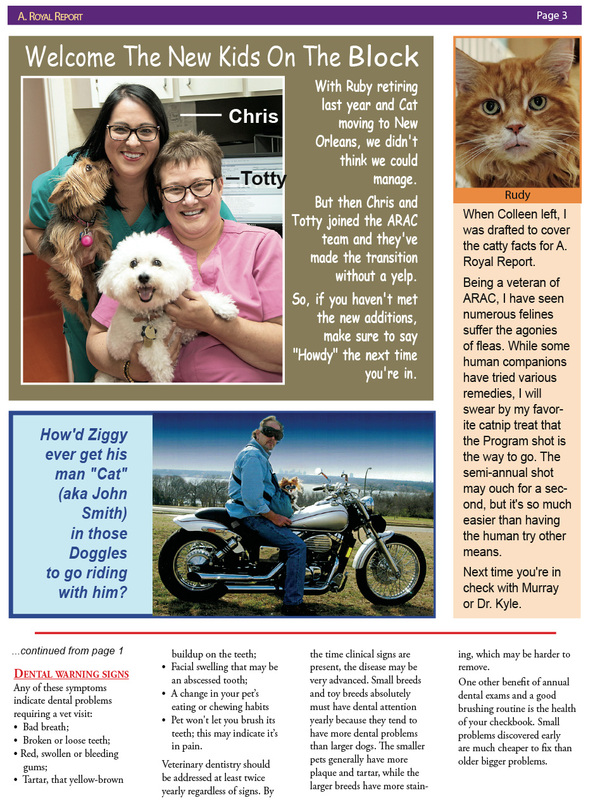 Here is our 2015 annual newsletter! 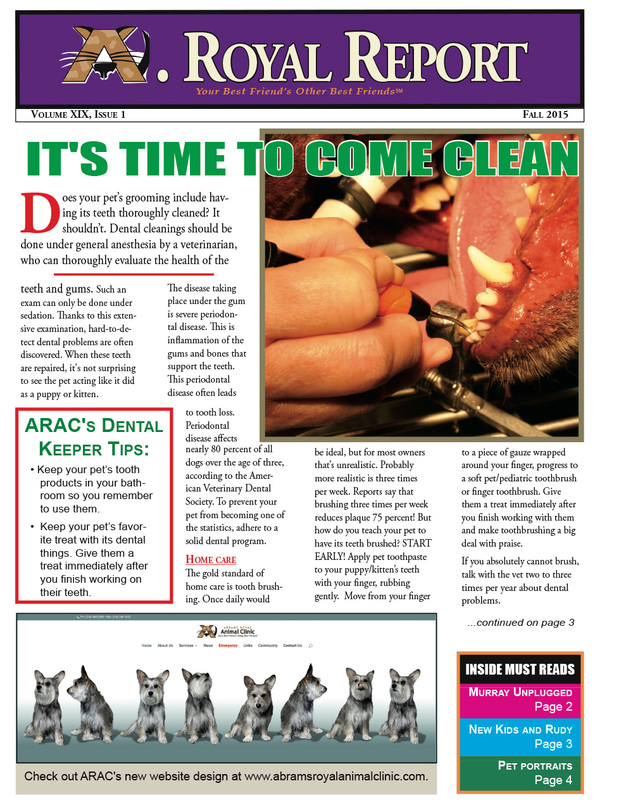 You’ll find great information about news pertaining to ARAC, as well as tips on how to keep your pet healthy! 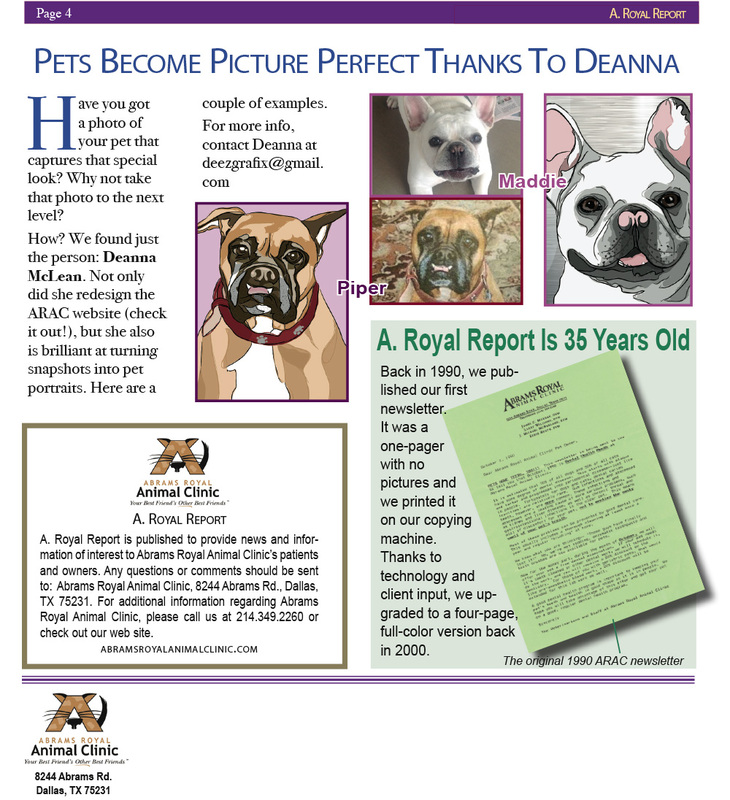 Click the arrows to the left or right to continue on to the next page of the report. 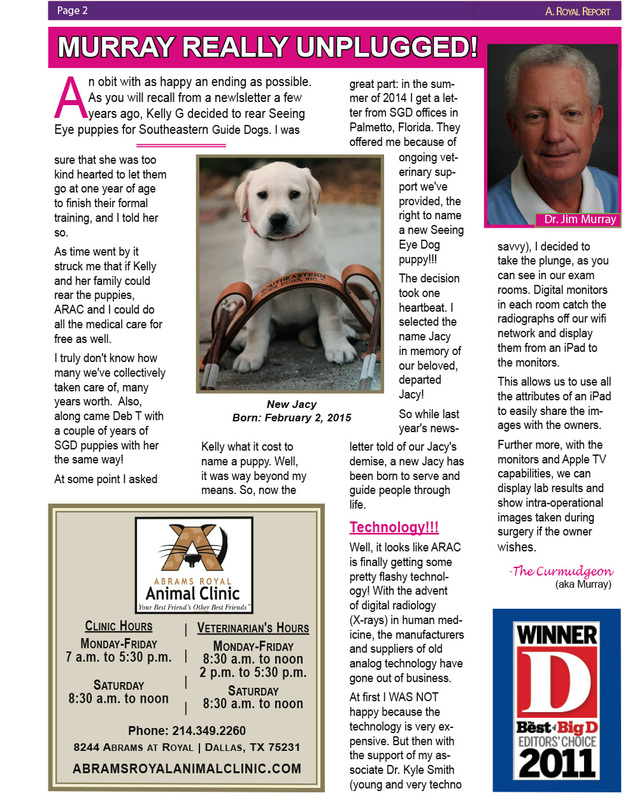 If you’d like to download a pdf of the newsletter, please click here.